BMW India announced the opening of Infinity Cars, its new showroom in Navi Mumbai. of international standards at important commercial centers across the country. We will continue to invest in our network to cater to the growing clientele and are happy to add one more location to spread JOY in the financial capital of India," said Philipp von Sahr, President, BMW Group India. The new Infinity Cars showroom is located at Plot No. 50, Sector-1, Nerul, Navi Mumbai. 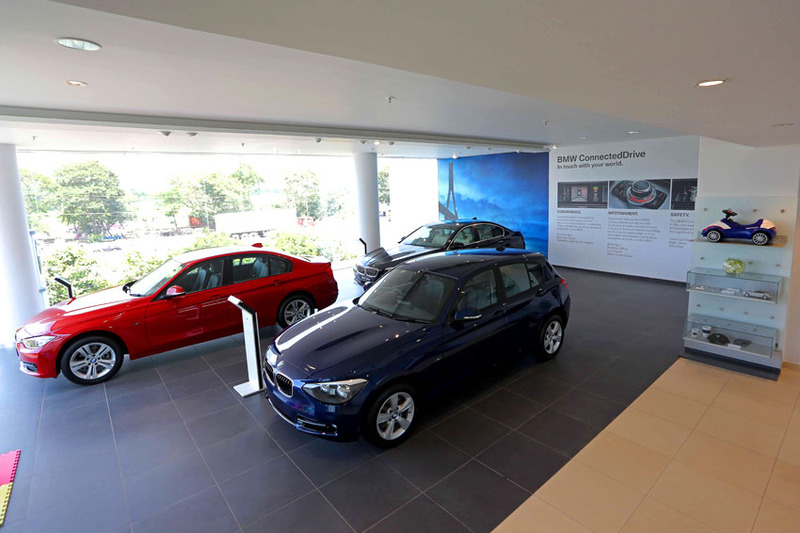 Spread over three floors with an area of 4,960 sq ft, the design of the showroom is based upon Urban Street Display concept which is a signature BMW layout with sales lounges close to the display area. The Infinity Cars showroom will display 6 cars. "Our partnership with BMW India started six years ago and the foundation of this association is based on bringing extremely high standards in sales and service of premium automobiles to India. We are very proud of the growth that we have experienced with BMW India and will always be committed to delivering the best to our premium clientele in every possible way. With the launch of a new showroom at Navi Mumbai, Infinity Cars will get the opportunity to reach out to more valued customers in the city. We are fully committed to our partnership with BMW India and look forward to provide high quality services to our growing clientele across Mumbai," said Pooja Choudary, Managing Director, Infinity Cars.